Fritzing is an ecosystem of tools, services and tutorial materials that provides support for implementing interactive electronical projects for designers, artists, researchers and hobbyists. Completed projects can be uploaded and displayed on our website as examples and inspiration. The Fritzing Kits (e.g. 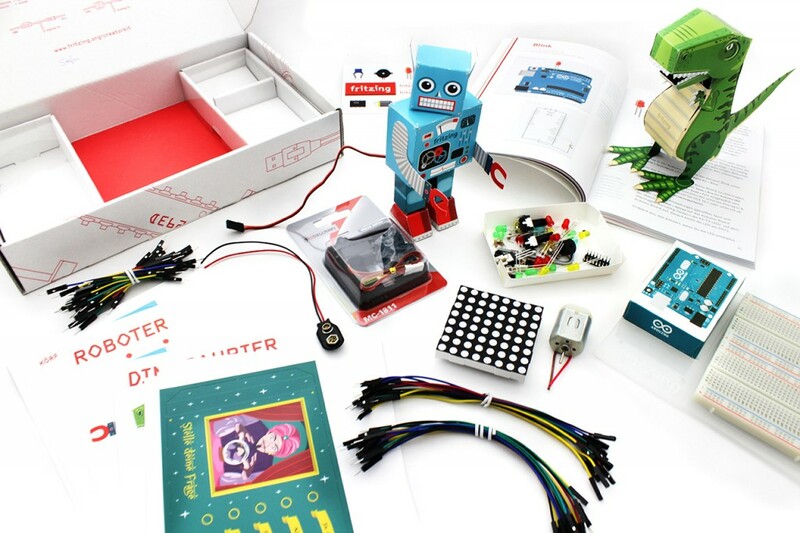 the Fritzing Creator Kit), combine a careful selection of electronic parts with project ideas for beginners and advanced learners. The video tutorials explain step by step how to handle the tools. The open source software – also called Fritzing – is used by more than 120 000 people worldwide in order to bring their project ideas to life. They can even transform these projects into real products. The Software is available for Mac, Windows and Linux. The Fritzing startup originated as a research project at the University of Applied Sciences Potsdam.